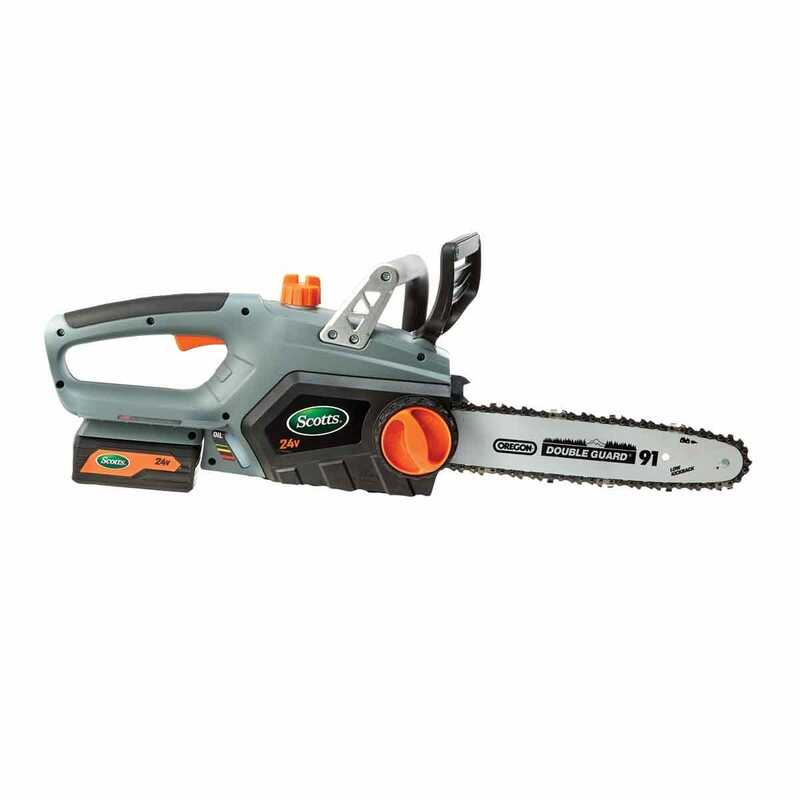 Designed for quick clean-up jobs around your yard, this Scotts 12" Cordless Chain Saw is versatile, lightweight, rechargeable, and completely portable. Clean running with no gas and no exhaust fumes, it has an Oregon bar and chain—an industry standard that is built-to-last. Chain is automatically oiled, and a view window lets you monitor oil levels as you work. Chain adjustment is tool-less, a new large easy-to-turn knob makes adjustments a breeze. 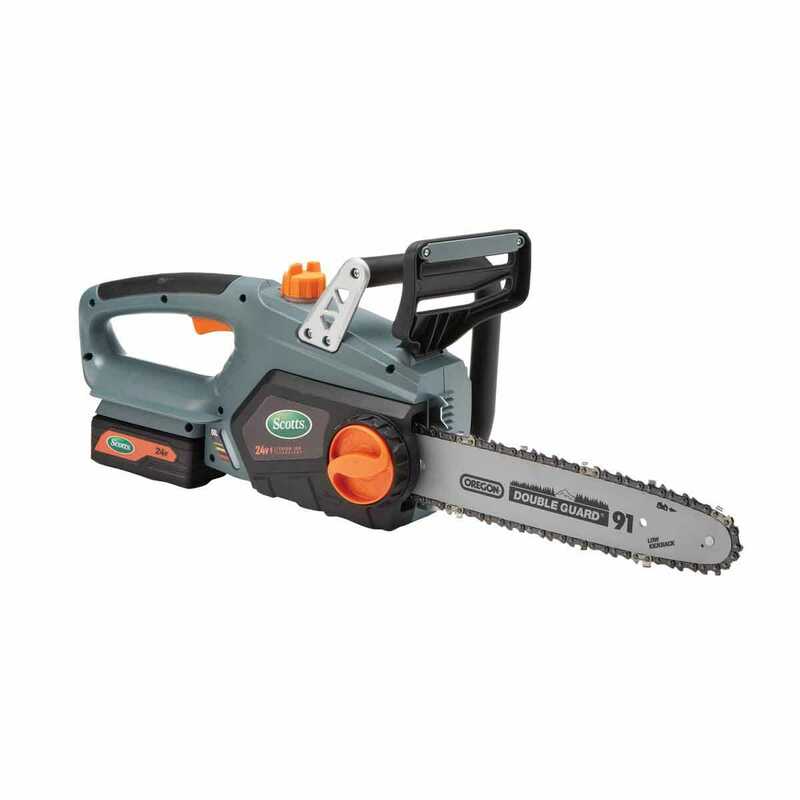 Includes protective blade cover, rubber-covered handle, rechargeable 24v lithium battery pack and one-hour fast charger. 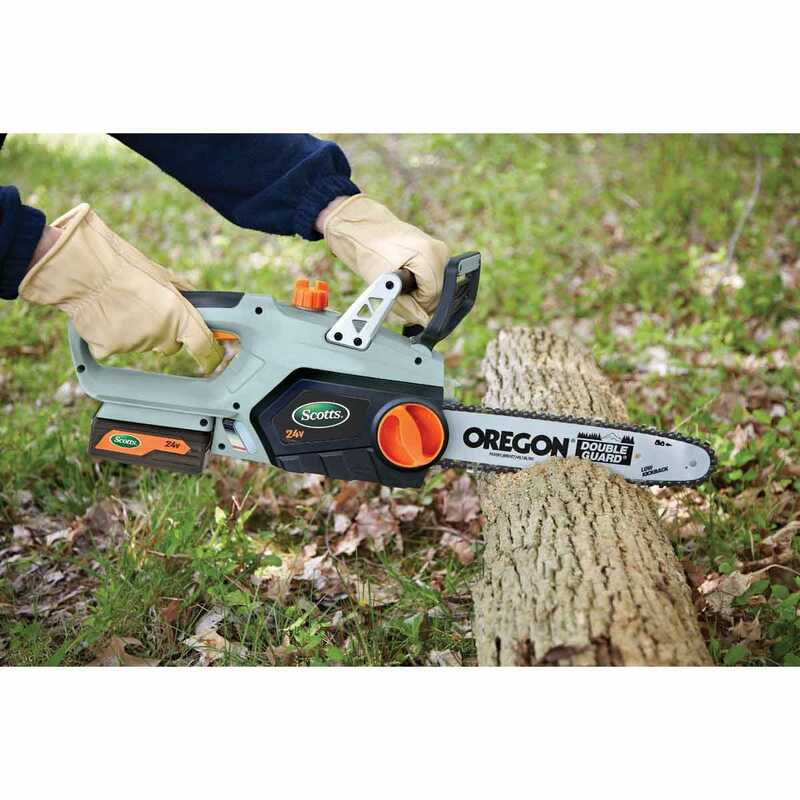 Battery lasts 15-25 minutes depending on the thickness and type of wood. Measures about 28"l x 10"h x 8"w and weighs 8 lb.